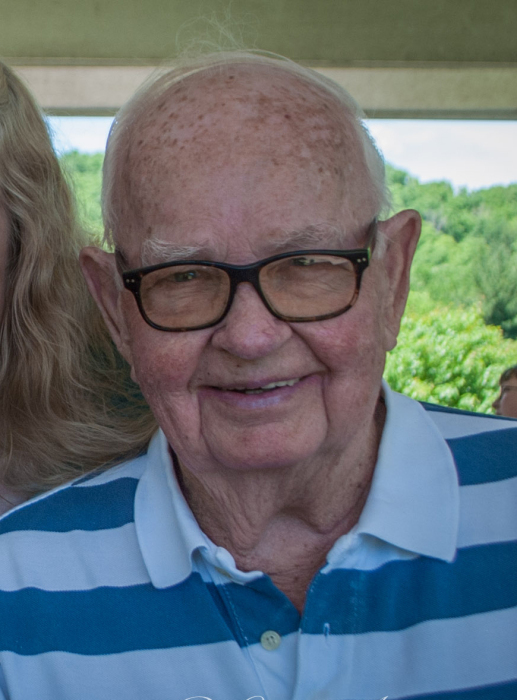 Adrian Brashear, age 91, passed away March 24, 2019. He was born on January 22, 1928 in Perry County to the late Oakley Brashear and Gladys Parker Brashear. He married the love of his life, Beulah Wilhoit Brashear in 1953. Adrian served in the United States Navy and the United States Army. He was a member of the American Legion in Mt. Carmel. He retired from General Motors after 30 years. He loved to fish and tell stories of his younger days. He had a fun personality and loved to joke around. He enjoyed going to auctions with his family. He will be greatly missed. He is survived by his loving wife, Beulah Wilhoit Brashear; Two daughters, Sabrina (Mike) Murphy of Morehead and Adrianne (Rick) Arney of Middleton Ohio; Two sisters, Pearl Ferguson of Means and Margaret Mann of Olympia; Nine grandchildren, Angie (Nolan) Sessions, James M. (Tammy) Murphy, Breanne Arney, Caleb Arney, Marc Brashear, Matt Brashear, Amanda Brashear, Amy Brashear and Robin Hatmaker; Five great grandchildren, Salem Brashear, Terrin, Eli, Tyler, and Kaylee. He is preceded in death by his parents, Oakley Brashear and Gladys Parker Brashear; One son, Mark Anthony Brashear. Visitation will be Wednesday from 6-8 p.m. at the Richardson Funeral Home. Funeral services will be Thursday at 2:00 p.m. with burial following in the Brashear Cemetery. Reverend Gary Boyd will be officiating. Richardson Funeral Home is caring for all arrangements.